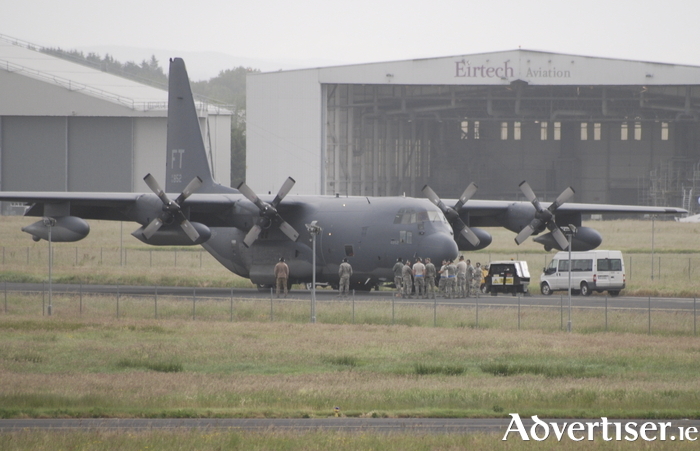 US troops boarding a plane at Shannon Airport. Well-known Galway musician and calligrapher, Jarír al-Majár - formerly known as Gerry Mulholland - was arrested after sending two faxes to Shannon Airport claiming the airport could be in danger of a terrorist attack. Gerry Mulholland changed his name by deed poll to Jarir al-Majar in 1988. He was arrested on Thursday January 19 and taken to Mill Street Garda Station, Galway, where he was held for nine hours and questioned by two gardaí from Shannon because of complaints from Shannon Airport, for alleged “harassment” by fax. Al-Majár’s mobile phone was also confiscated. The faxes were a mixture of images and single words in Arabic. According to Al-Majár, the faxes were "misinterpreted and deemed harassment when they were simply repeating what both Shannonwatch and the Galway Alliance Against War have been saying for 15 years. Namely, that Shannon Airport could be in danger of attack, because of the State’s complicity in allowing the US military to wage war via Shannon and Irish airspace."